(ZIZ News) — The Sandy Point Benevolent Society has major plans for 2016. Every year the society hosts a formal awards banquet in New York. At the banquet launch ceremony held at the Sandy Point Hard Court, featured speaker Dr. Stuart Williams revealed that the banquet will be held in St. Kitts this year. 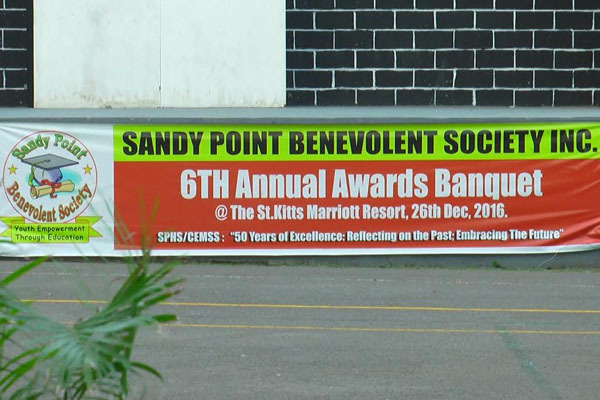 The 6th Annual Sandy Point Benevolent Society Awards Banquet will be held under the distinguished patronage of Deputy Prime Minister and Representative for Constituency #5 Hon. Shawn Richards, in honour of the Charles E. Mills Secondary School’s 50th anniversary celebrations.